The GA-HQ VG Character Art Collaboration: 2B – Or Not To Be! 2B from the excellent NieR: Automata B-came one of the most popular new game characters among many fans in 2017 that drew or cosplayed this beautiful girl. She is a badass like Dante or Bayonetta before while her backstory can be seen as something a lot darker. Basically she is meant to be a weapon against the machine-lifeforms that invaded the planet to defend the last surviving humans. She is an android and won’t come up with cool one liners like the mentioned characters but her actions are usually loud enough to love her and the game. 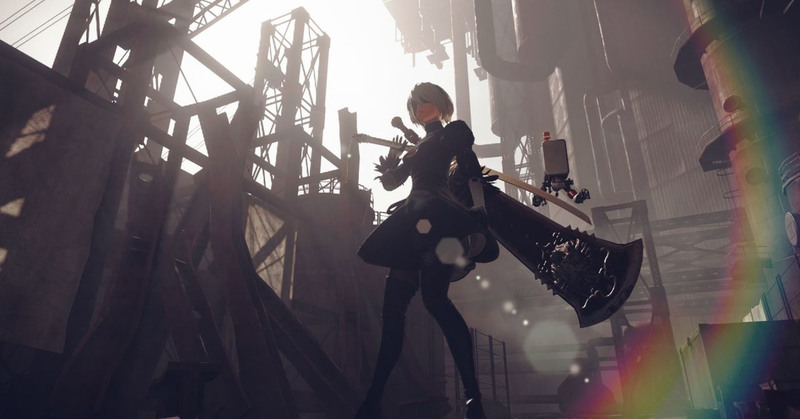 2B was designed by Akihiko Yoshida who created many other video game characters before for games like the Final Fantasy “Ivalice” games (FF Tactics, FFXII) or Vagrant Story. Kargonaute, is a French artist who joined our dA Groups back when they were created already and participated in some of the first art collaborations like the Fighting Game Boss Tribute by the end of 2011 already. After a pause for a while he returned and joined our video game character challenge with 2B, Ivy Valentine and Felicia from Darkstalkers. He also drew Yun for our Street Fighter Anniversary Tribute. Like myself, Kargonaute is a big fan of the Mortal Kombat games and fighting games in general but he draws also very different stuff. I can only recommend to have a look at his whole gallery there on dA or check him out on FB!